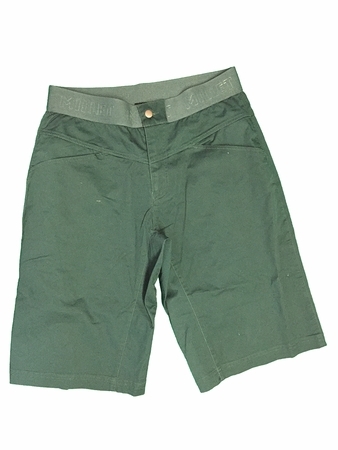 "For urban spots and sheer crags, these long-cut climbing shorts serve up the irreplaceable comfort of a COTTON/STRETCH blend, with ergonomics maximized for climbing. A light, fresh package for a laidb ack summer. Added elastane and the freedom of a gusseted crotch promote free-flowing movement. A flat waistband mounted on an elastic panel allows a perfect waist adjustment, and limits friction in a fit designed for harness-wearing comfort, with a back pocket for a toothbrush. In the gym or up a wall, the GRAVIT LIGHT LONG SHORT is an unconditional ally in hot weather.